Luckily the software is supported out of the box by the program. 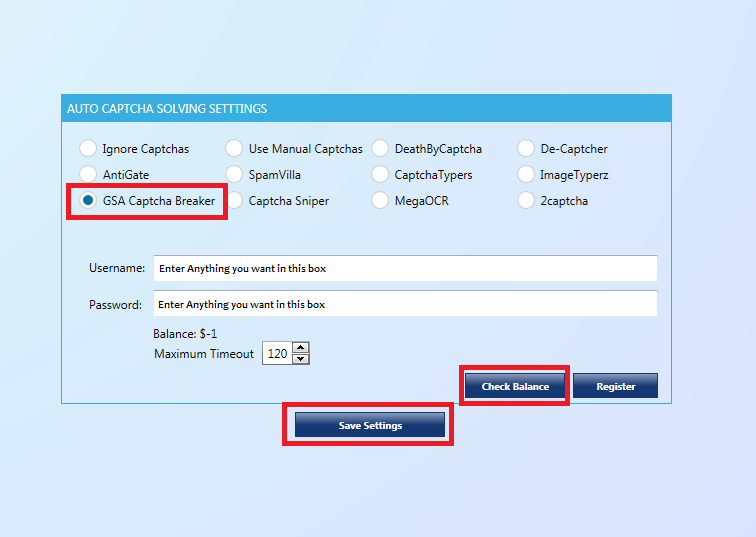 So in options for captcha services you can directly choose it as seen in screenshot below. A click on Check Balance should show 999 or 9.99 USD as credits.